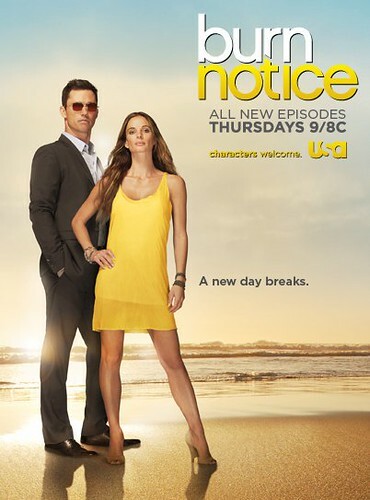 I am a HUGE fan of the USA Network show Burn Notice. Our good friend and collaborator Ben Watkins has been a writer/producer on the show for several years, and made a big push to get some of my music on the show before it goes off the air. Listen for my song “Beautiful” on episode 710 entitled “Things Unseen” that airs tonight – Thursday August 15th at 9pm/8c on USA Network. “Beautiful” was on my album SOULvival and was dedicated to my oldest daughter Lily. Burn Notice is in its final season, and down to its final 4 episodes and if you haven’t seen the show, it’s a lot of fun. It’s been called “addictive” and one of the “best shows on tv.” You can watch past episodes on itunes and on amazon, or tune in on Thursday night at 9pm to watch it LIVE! Tune in and Share this!